SERVING ALL WHITTIER AREA WITH THE LOWEST PRICES ON STAIRLIFTS! ASK IF NEXT DAY DELIVERY OF YOUR LIFT CHAIR IS AVAILABLE! 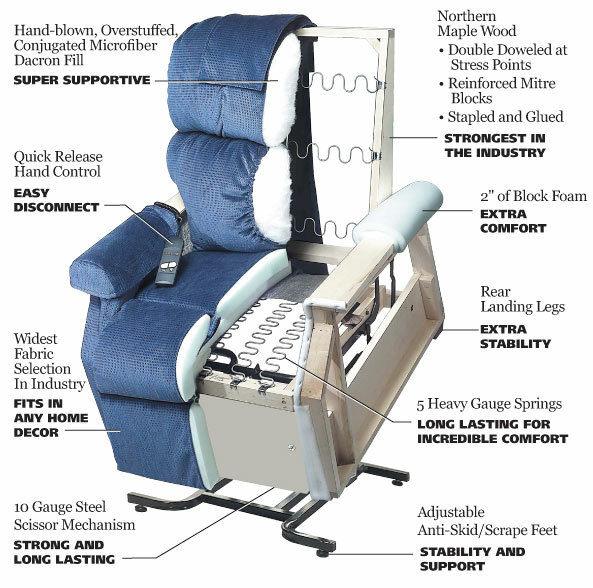 We welcome you into the family of Electropedic Power Lift Chairs. For almost 50 years now, we have made "Your Comfort Is Everything!" our only business. 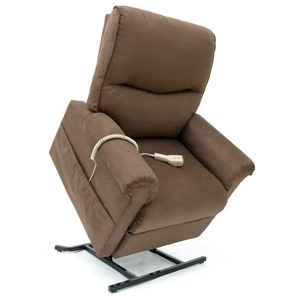 Electropedic is one of the most trusted name in the Power Lift Chair Recliner Industry. We are authorized dealers of the (3) three best manufacturers of Lift Chairs: Pride, Golden and Med-Lift. We are members of the BBB with an A+ Rating. We are the actual manufacturer of the Electropedic Adjustable Bed. We are family owned and operated business since 1964. 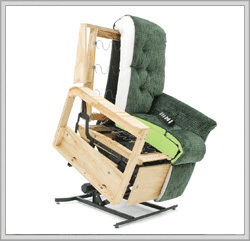 We have the World's Best DISPLAY of Lift Chairs in our (3) three showrooms in Phoenix AZ, Garden Grove and Burbank CA. Power Lift Chairs are available for IMMEDIATE DELIVERY; but if your LiftChair Color is not in stock, we can still usually deliver and set up your model and color by the end of the week. Compare Price, Qualiity, Guarantee, Service, Selection, Features and Options. 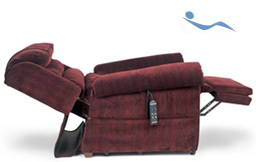 We Guarantee the World's Lowest Prices on the World's Best LiftChair Recliners. 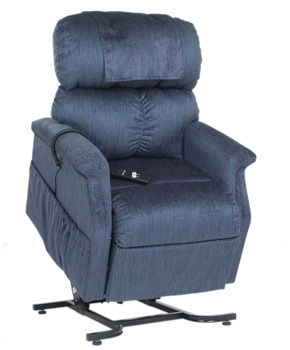 Sale prices start at $599.00 for the Pride Mobility Elderly Seat Lift-Chair Recliner, Model LC-105. 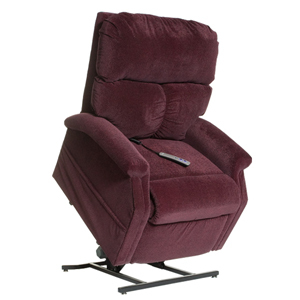 This is a 3-position lift chair, medium size, that allows you to stand, sit and recline with incredible ease. The measurement from your sitting-bones to the top of your head. 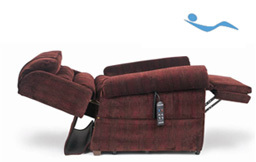 The width of bariatric lift chairs becomes very important if you are heavier or over-weight for your body size. 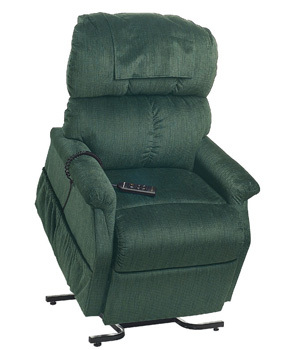 Please try the many Lift Chair Recliners we have on DISPLAY. We have several different models in each size category. Each chair has a different feel, different padding on seat, back and arm rests. On DISPLAY in our (3) three Showrooms in Phoenix AZ, Garden Grove and Burbank CA. SERVING ALL AREAS . Golden Technologies has perfected comfort. With the development of our exclusive, patented MaxiComfort® positioning technology, Golden delivers the most advanced lift and recline chair available anywhere in the world! 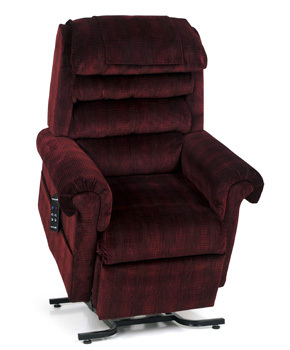 When you slip into a MaxiComfort electric recliner chair, your body is transported into a blissful, relaxed state. These chairs offer optimal comfort positions that promote health, wellness and relaxation for both your body and your mind. 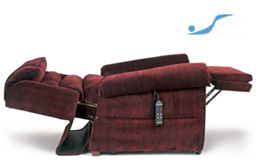 Have a seat and discover for yourself why MaxiComfort lift and recline chairs are the world’s most comfortable. 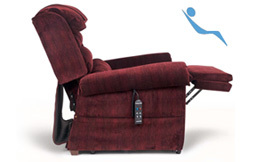 The MaxiComfort system transfers you effortlessly and smoothly through multiple lift and recline positions. The most common are the TV Watching, Sleep, Zero-Gravity and Trendelenburg positions. MaxiComfort is the only seating system that gives you this many recline features and lifts you to the standing position, all at the touch of a button. Beautiful designer Leather-Like Fabrics are available for both Pride Lift Chairs and Golden Lift Chair Recliners. USED LIFTCHAIRS are 1/2 OFF Regular Price! Also, call us about Medical Medicare Insurance (Medicare may reimburse you about $280.00) and Renting LiftChair Recliner Rent Lift Chair: Ask about Rental of availability of all sizes seat chair lifts. Contact us for more information on Chair Seat Stair Lift: Indoor, Outdoor and Custom Curve Bruno StairLifts, Acorn StairLift and Harmar Chair Stair Lifts.